HP is following up on its x2 line of tablet/laptop hybrids with two new models – the 13.3″ Split x2, running Windows 8, and the 10.1″ SlateBook x2, running… Android. Both are laptops with detachable screens, which turn iAug tablets on their own. 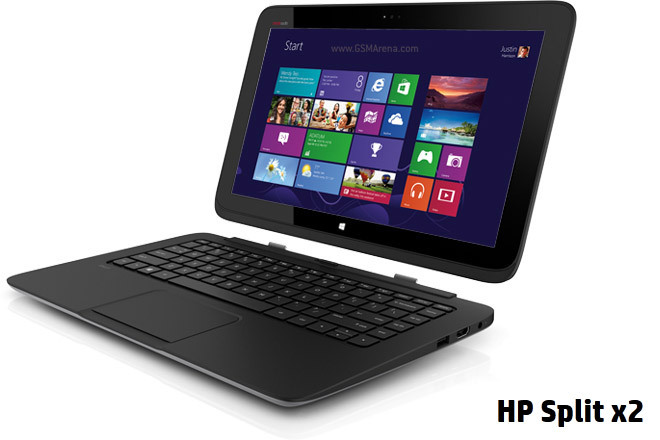 The 13.3″ screen of the HP Split x2 is an IPS LCD with 1,366 x 768 resolution. The device is powered by a 3rd generation Intel Core i3 or i5 (Y-series with 7W SDP / 10W TDP) with 2GB RAM (upgradeable), and has a 128GB SSD with an optional 500GB HDD. The Split x2 packs two cameras, 8MP on the back and 1080p on the front, two speakers with Beats Audio, an SD/microSD card reader, HDMI port, 1x USB 3.0 and 1x USB 2.0 ports. The whole setup – tablet and keyboard dock – measure 339.9 x 229.9 x 23.4mm when closed and weighs 1.9kg. 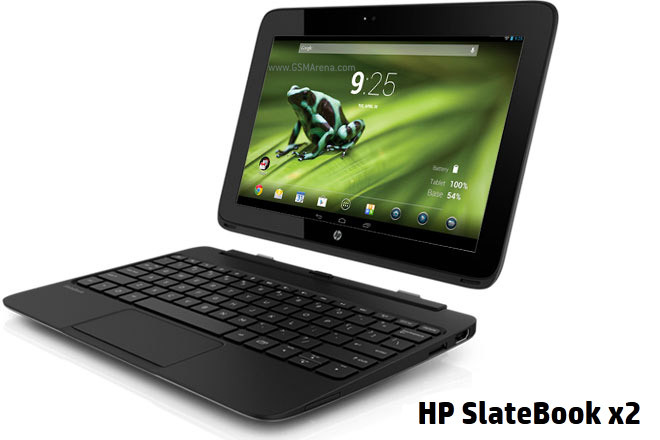 The HP SlateBook x2 is smaller but has the better screen – 10.1″ 1080p IPS display with 400nits of brightness. It’s powered by Tegra 4 (4x 1.8GHz Cortex-A15, 2GB RAM) and runs Android 4.2.2. The built-in storage is 64GB, which can be expanded using the SD card slot. The SlateBook x2 has a 1080p back camera and a 720p front-facing camera, stereo speakers with DTS+ sound HDMI port and 1x USB 2.0 port. Tablet and keyboard dock measure 285 x 212.1 x 20.3mm when closed and weigh 1.4kg. Both the Split x2 and the SlateBook x2 have two batteries (one in the tablet, one in the keyboard dock) but HP didn’t specify the capacities or cite any battery life numbers. where is the 8mp rear camera located?